Create a radiant and glowing complexion with the Skin Republic Beauty Booster Gift Set, a collection of three brightening, balancing and anti-ageing face masks, as well as an extra mask for free! Enriched with deeply nourishing ingredients, the sheet masks work to reveal a luminous and healthy-looking visage. 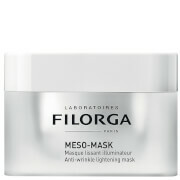 Combining Collagen with Elastin and Vitamin E, the mask performs a firming and toning effect on skin whilst intensely boosting moisture to reveal a more youthful look; fine lines and wrinkles are smoothed and elasticity and strength is enhanced. 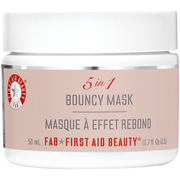 Rich in vitamins and antioxidants, the mask helps fight free radical damage and slows down signs of ageing. Its dose of Wheat Amino Acids encourages the growth of new tissue to promote healing and rejuvenation. Utilising the Transdermal Delivery System to ensure efficient absorption of beneficial ingredients, the luxurious face mask has been expertly formulated with plant extracts and minerals to help reduce visible signs of ageing. Hyaluronic Acid offers long lasting hydration and helps stimulate natural collagen levels for lifted and revitalised skin. Delivering nutrients and intense moisture with close and continuous contact, the 20-minute treatment minimises the look of fine lines and wrinkles, unveiling a radiant and healthy-looking complexion. The first step of the treatment comprises an exfoliating skin peel that uses pure Brown Sugar to lift away dry, dead skin cells and improve absorption of the second step. The nourishing face mask is infused with a serum containing Vitamin C and Collagen, which reduce the appearance of dark spots and discolouration and promote a plumper, firmer skin texture. After the two-step treatment, skin will appear brighter, smoother and enviably youthful. Delivering nutrients and intense moisture with close and continuous contact, the treatment is dedicated to rejuvenating and hydrating the delicate skin around the sensitive eye area. Targeting five signs of ageing around the eyes, including fine lines and wrinkles, loss of elasticity, puffiness, dark circles and dryness, the serum-infused eye patches combine Collagen with Green Tea, Aloe Vera and a host of vitamins to smooth the appearance of wrinkles, combat fatigue and intensely nourish. Collagen Infusion/Hyaluronic Acid: Cleanse skin, remove mask from packaging, unfold and place on face, wear for 15-20 minutes, remove mask, do not rinse. Excess serum can be applied to neck, décolletage and hands. 2-Step Mask: Cleanse skin. Tear open Step 1 sachet and apply peel to face, massaging gently for one minute, then rinse off. Tear open Step 2 sachet, remove mask from packaging, unfold and place onto face. Wear for 15-20 minutes. Remove mask. Do not rinse off – excess serum can be applied to neck and décolletage. Eye Patch: Cleanse skin, place one eye patch below each eye area, wear for 30 minutes, remove patches. Do not rinse. Collagen Infusion: Water/Aqua, Butylene Glycol, Glycerin, Natto Gum, Hydrolyzed Collagen, Sodium Hyaluronate, PEG-60 Hydrogenated Castor Oil, Hamamelis Virginiana (Witch Hazel) Leaf Extract, Hydroxyethylcellulose, Dipotassium Glycyrrhizate, Carbomer, Triethanolamine, Disodium EDTA, Sodium Nitrate, Sodium Ascorbyl Phosphate, Tocopheryl Acetate, Ethylhexylglycerin, Glyoxal, Hydrolyzed Elastin, Methylparaben, Phenoxyethanol, Propylparaben, Fragrance/Parfum. Hyaluronic Acid: Aqua/Water/Eau, Butylene Glycol, Glycerin, Peg/Ppg-17/6 Copolymer, Betaine, Triethanolamine, Carbomer, Punica Granatum (Pomegranate) Fruit Extract, Allantoin, Panthenol, Peg-60 Hydrogenated Castor Oil, Hamamelis Virginiana (Witch Hazel) Leaf Extract, Chondrus Crispus Powder, Disodium Edta, Hydrolyzed Collagen, Adenosine, Tocopheryl Acetate, Actinidia Chinensis (Kiwi) Fruit Extract, Biosaccharide Gum-1, Ethylhexylglycerin, Sodium Hyaluronate, Methylparaben, Phenoxyethanol, Propylparaben, Parfum/Fragrance. 2-Step Mask: Scrub: Aqua/Water, Saccharum Officinarum (Sugar Cane) Extract, Glycerin, Propylene Glycol, PEG-400, Butylene Glycol, PEG-60 Hydrogenated Castor Oil, Silk Extract, Ethylhexylglycerin, CI 15985, Arginine, Carbomer, 1,2-Hexanediol, Phenoxyethanol, Parfum/Fragrance. 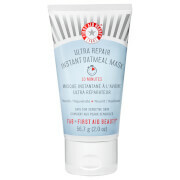 Mask: Aqua/Water, Glycerin, Propylene Glycol, Niacinamide, Panthenol, Sodium Hyaluronate, Sodium Ascorbyl Phosphate, Calcium Pantothenate, Tocopheryl Acetate, Pyridoxine HCl, Maltodextrin, Sodium Starch Octenylsuccinate, Silica, Morus Alba Bark Extract, Camellia Sinensis Leaf Extract, Hydrolyzed Collagen, Hydroxyethylcellulose, Carbomer, Triethanolamine, Polysorbate 80, Disodium EDTA, Methylparaben, Parfum/Fragrance. Eye Patch: Water, Glycerin, Sorbitol, Sodium Polyacrylate, Polyacrylic Acid, Castor Oil, Octyl Dodecanol, Kaolin, Cellulose Gum, Collagen, Tartaric Acid, Aluminum Glycinate, Methyl Paraben, Tocopheryl Acetate, Titanium Dioxide, Disodium EDTA, Allantoin, Chromume Oxides (Green), Camellia Sinensis Leaf Extract, Retinyl Palmitate, Fragrance.